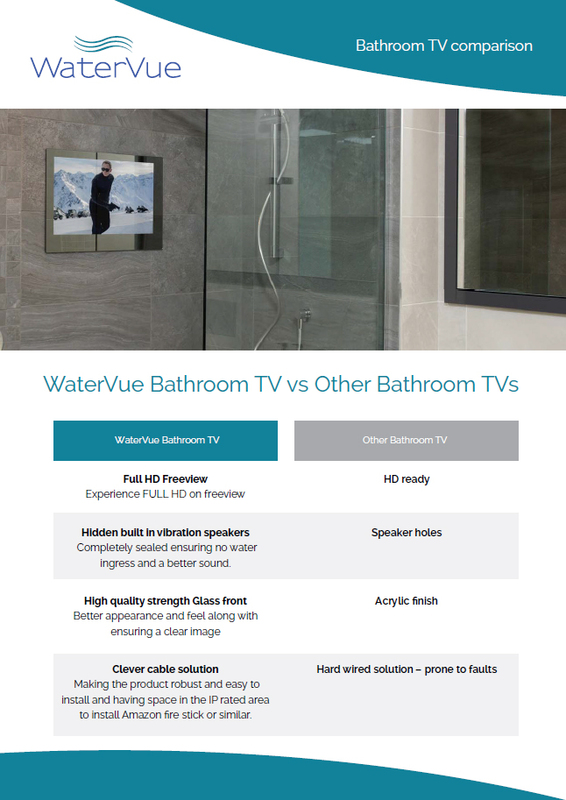 The slim design and easy install Watervue TV with a cut-out dimensions of 580mm x 380mm x 45mm and the front only being 580mm x 380mm x 45mm which sits flush to your tiles. 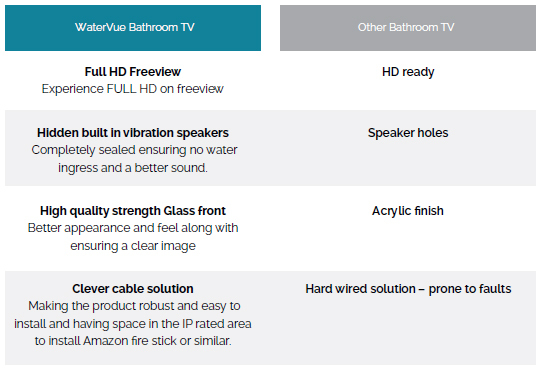 The superior 24 inch mirror television is ideal for homeowners who want the freedom to wind down in the tub and watch their favourite TV show. When turned off, your TV converts into a mirror. With its practical design, there’s no need for a separate mirror in your bathroom, making the waterproof mirror TV an excellent space-saving choice. 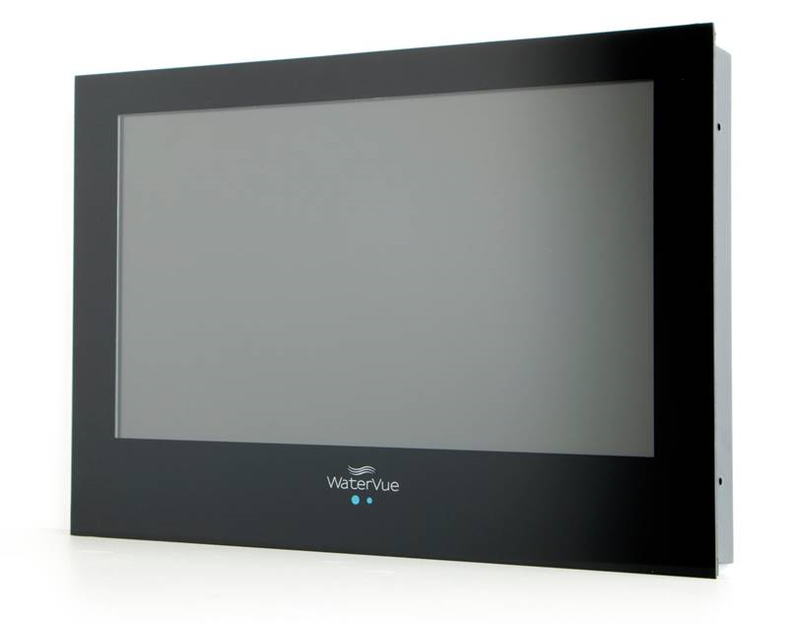 If you would like more information about our bathroom mirror TVs, don’t hesitate to get in touch.